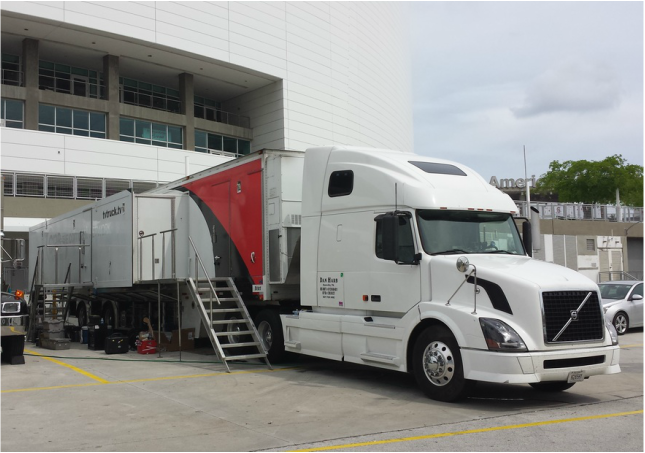 Meet "Bert" our 53' High Definition Expando Production Trailer. Bert requires no support unit, and features a traditional 3-tier production area with a large flat screen virtual monitor wall. 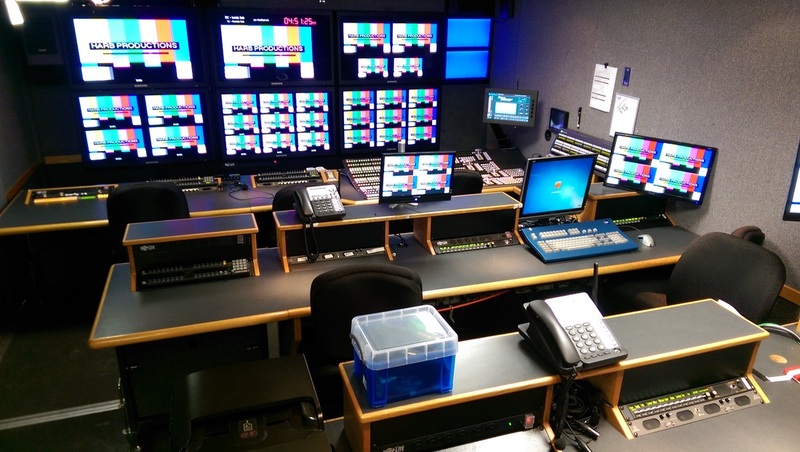 Other highlights include the latest Grass Valley K-Frame Kayenne switcher, (3) EVS XT3 Video Servers, 8 Grass Valley LDK 8000 3G Triax Cameras, and a Calrec Artemis Digital Audio Console.